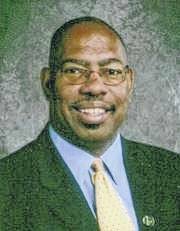 OHIO VALLEY — Dr. Robert L. Lawson, of Portsmouth, will be the keynote speaker for the annual Freedom Fund Banquet hosted by the Southeastern Ohio NAACP Branch that serves Gallia, Jackson and Lawrence Counties. Dr. Lawson is a 1973 University of Rio Grande graduate. He acquired his Master’s Degree in 17th Century Literature at Marshall University. At Nova Southeastern University in Fort Lauderdale, Fla., he acquired is doctoral degree in educational administration. He is beginning his fourth year in the Chillicothe City School District. In addition to his career as a life-long educator, Lawson is the author of 12 books which include but are not limited to Destined for Greatness, Oh Yes We Can, Black Achievement in America, The Gamer and numerous others. Some of these books will be on display at the banquet and can be purchased there. This year’s banquet is being held at the University of Rio Grande, 218 N. College Street in Rio Grande on October 7 at 7 pm. Music will be provided by Mt. Carmel Baptist Church Choir of Bidwell, Ohio. Tickets are still being sold for $25.00 each. You can purchase tickets from: Martha Cosby (740) 286-1776; Elma Johnson (740) 286-0486; Judy Payne (740) 446-3056; Mary Armstrong (740) 446-4965; or Barbara Carter (740) 894-3197. The Southeastern Ohio NAACP has held speakers such as Al “Scoop” Oliver, former Major League baseball player. Destiny Dotson, a student at River Valley High School, served as a guest speaker during a tribute to Martin Luther King, Jr., in 2016 as she put on a performance that won her state and district History Day honors and earned her a performance on the national level.